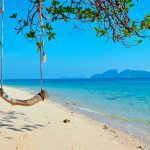 Top 10 most beautiful tropical islands in the world - Living + Nomads – Travel tips, Guides, News & Information! 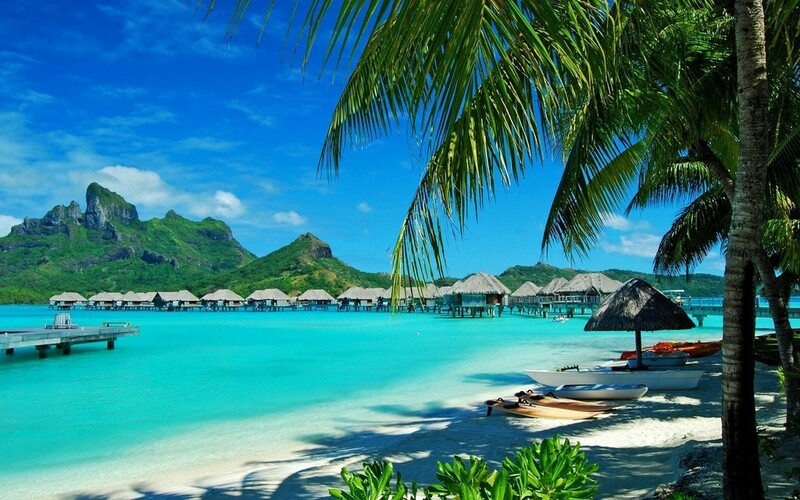 Is there anything more wonderful being immersed in the water of these paradise islands with blue ocean, pristine white sandy beaches, sunshine, clear turquoise water, etc. and listening to the murmur of the sea waves. 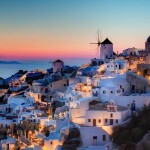 Let’s have a look at these paradise beaches that anyone wish to visit, experience, and admire at least once in their lives. 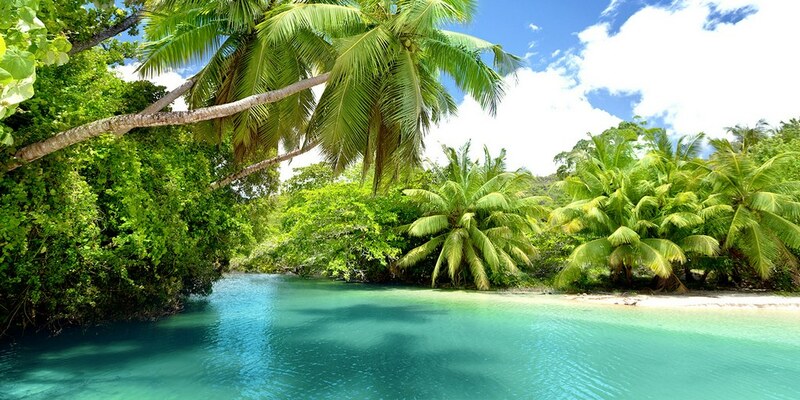 These are top 10 most beautiful tropical islands in the world. 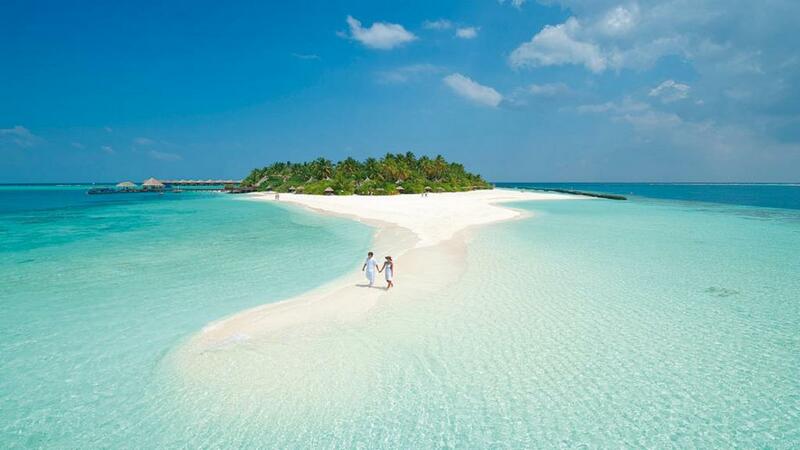 Maldives is a dream for many tourists all over the world. 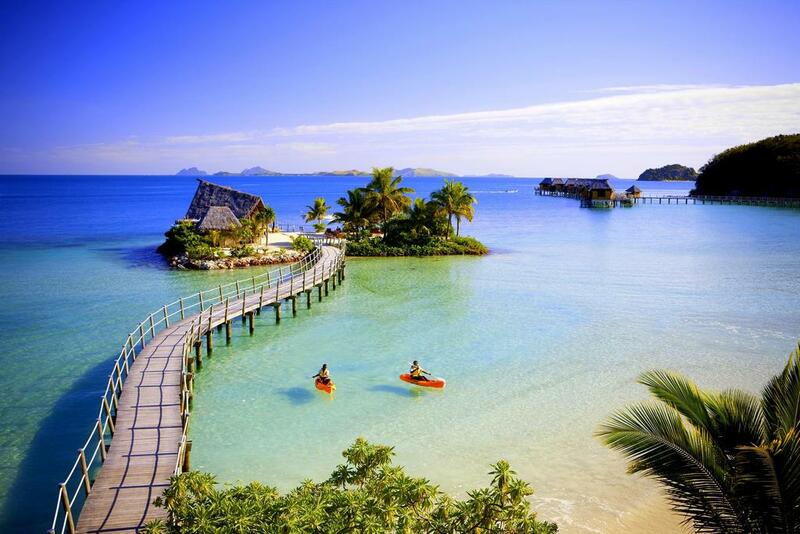 One of the most beautiful tropical islands in the world. Maldives is an island country and archipelago in the Indian Ocean, located on the southwest of India and Sri Lanka with 1,192 coral islands grouped into 26 coral atolls (200 inhabited islands, plus 80 islands with tourist resorts). 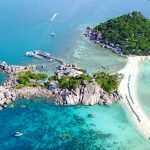 Arriving at this beautiful island, everybody can hardly resist the lure of blue sea, white sandy beaches, sunshine, and will wonder if they are lost in a real realm of paradise when immersing themselves with the picturesque natural scenery here. 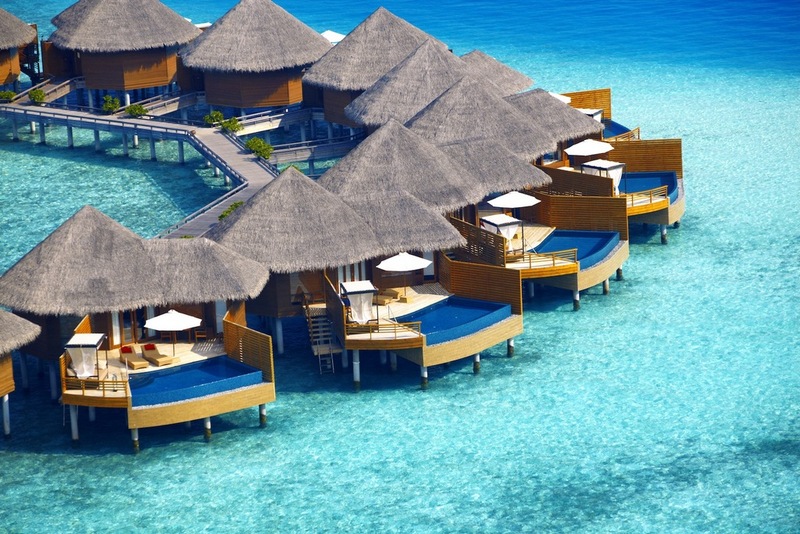 The specialty of Maldives are over water bungalows and water villas. 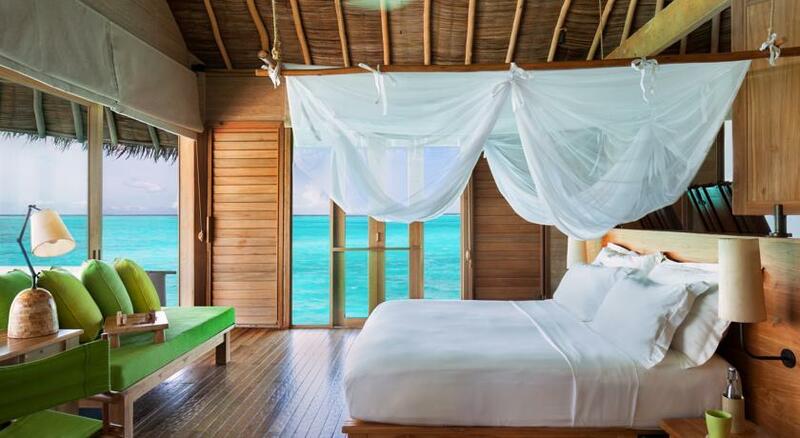 You have the choice to just lay in bed in a luxurious hotel room, one side is a big bowl of tropical fruits, the other side is the remote control for the speakers, and have a panoramic view of the emerald green ocean. It definitely promises to give you an amazing experience! 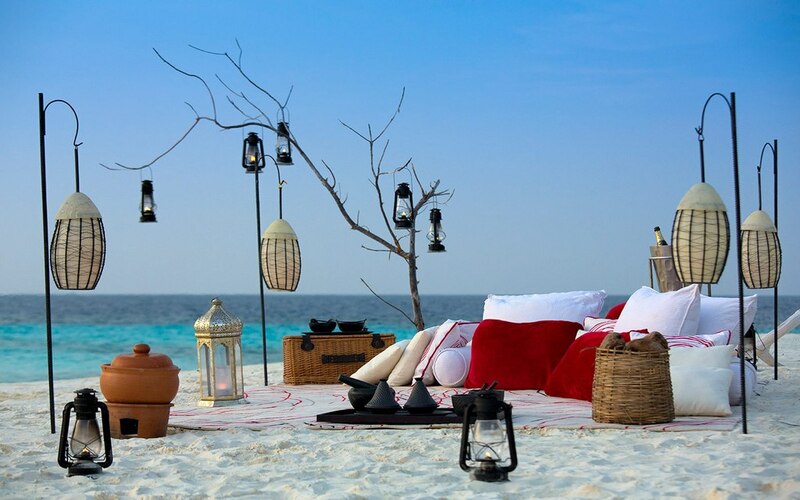 Apart from playing and dipping yourselves in the clear blue water or walking along the stretching white sandy beaches, there are many other entertaining activities in Maldives such as going on a submarine, snorkeling to watch corals, dolphin watching, etc. that can meet any kind of tourists’ hobbies. 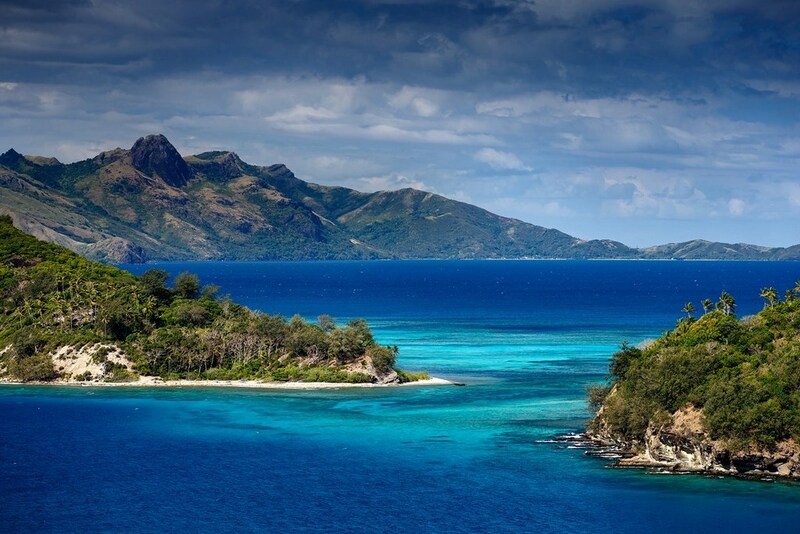 Located in the South Pacific Ocean, the island country of Fiji consists of 322 islands, and 522 smaller islets. Most of the islands of this archipelago are mountainous, with peaks up to 1,324 metres and covered with thick tropical forests. 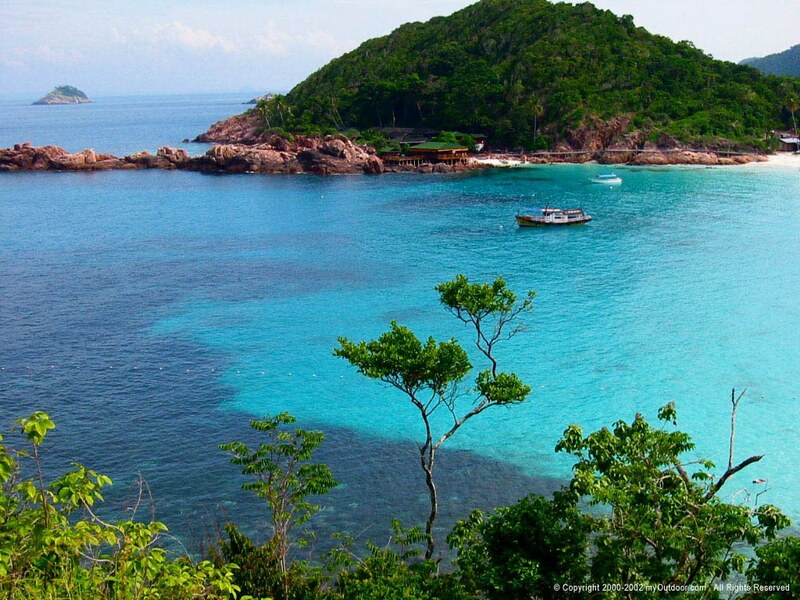 The crystal clear water with is perfect turquoise blue color captivates any tourist who has a chance to come the island. 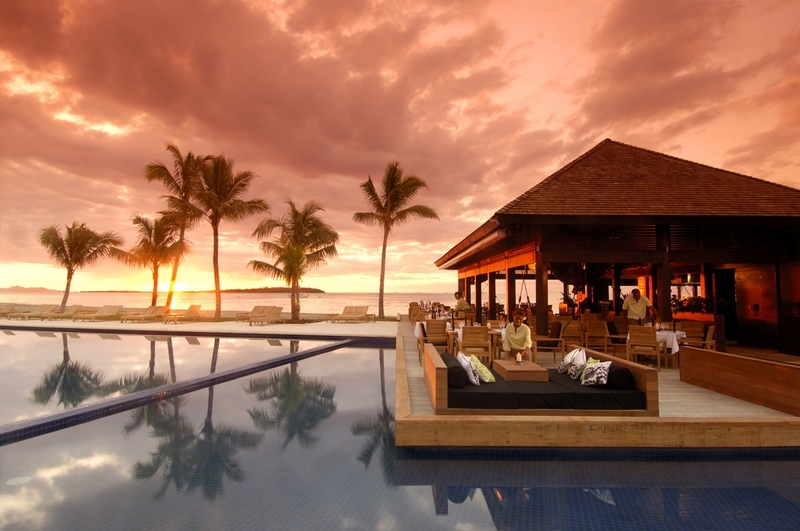 Here in Fiji, it is perfect for visitors to have a swim in its clear beautiful water and admire its colorful coral reefs or stroll down to the beach for a romantic sunset watching. 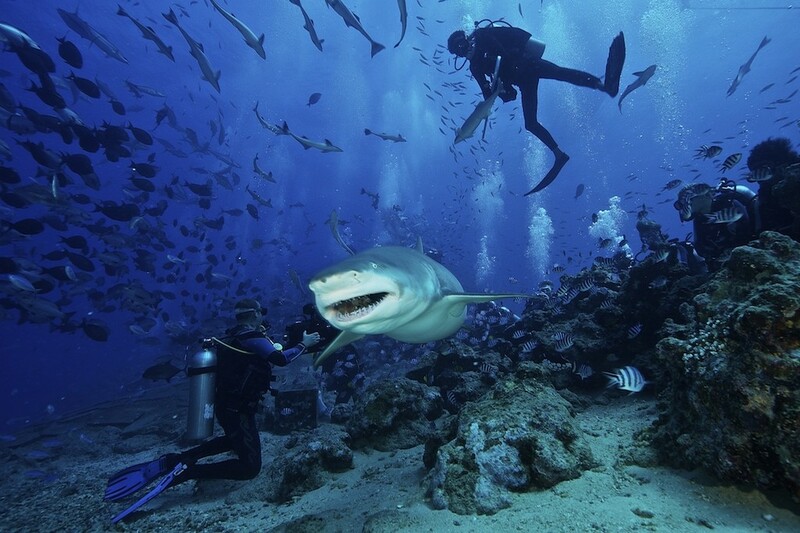 Besides that, tourists can participate in the tours to swim with grey reef sharks, or sky diving, etc. 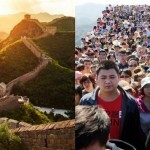 They are absolutely tours for adventurous people, however, they definitely deserve a try as well. 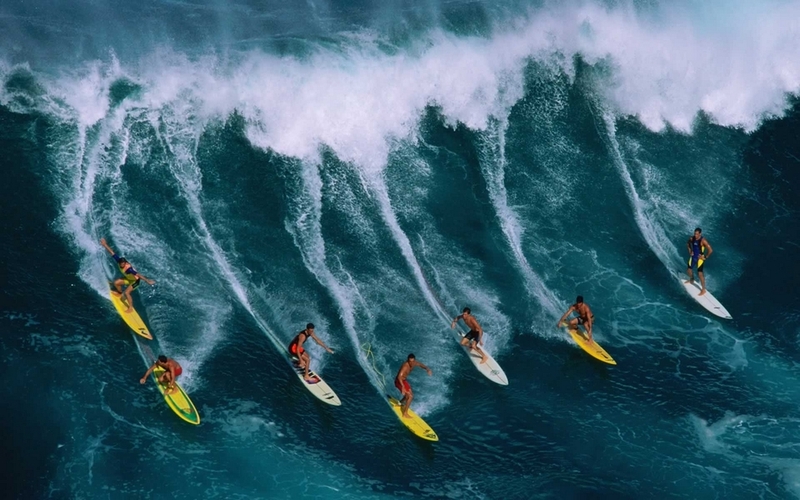 Hawaii is known as one of the most famous surf spots in the world. Many resorts in Oahu, Big Island, Maui, and other hotels on the islands offer professional surfing instructors to train tourists who are interested. 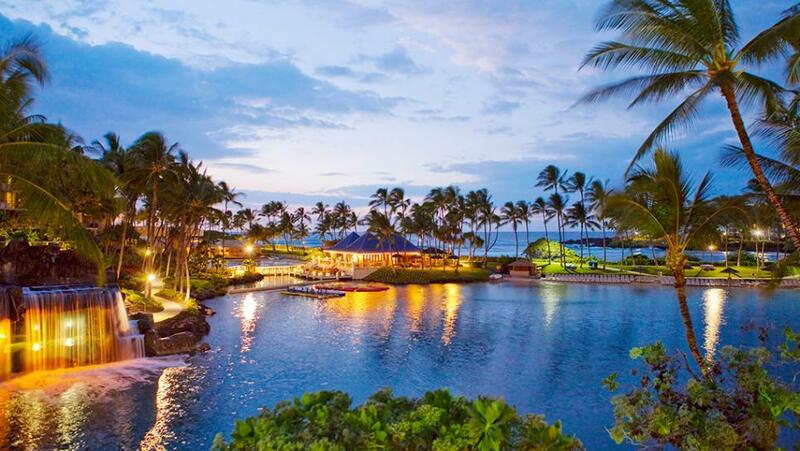 The ideal time to travel to Hawaii is April, May, September, and October. 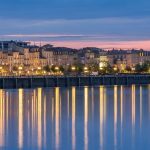 Those months are peak seasons for tourists, and you have an opportunity to enjoy the best weather, with nice and fresh air. 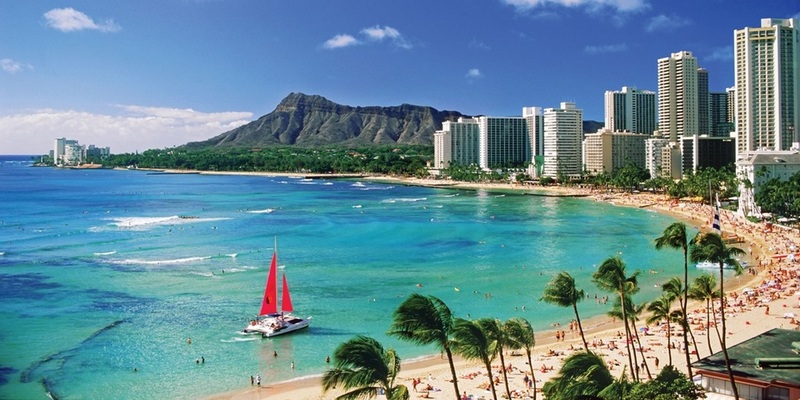 However, if you want to conquer the big waves of Hawaii archipelago, then winter will be perfect. 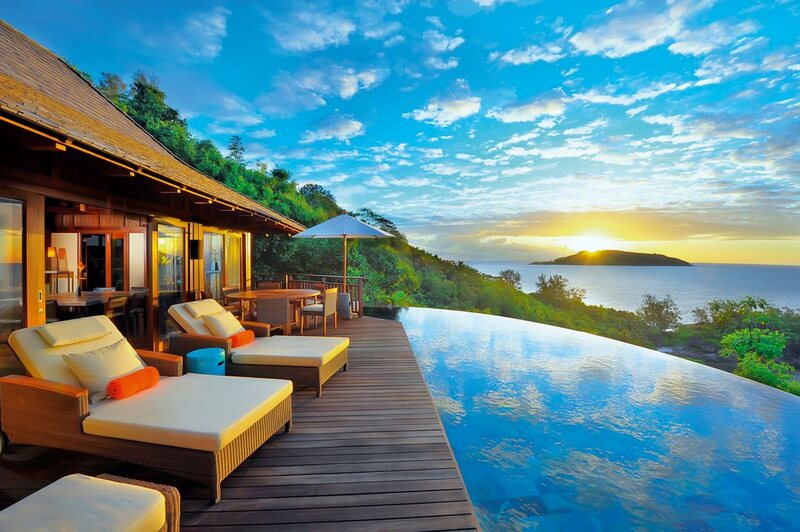 Seychelles is a jewel in the middle of the Indian Ocean, north of Madagascar. The beaches here are photographed the most in the world – enough to tell how beautiful the archipelago is. Being blessed by the mother nature with white sand beaches stretched 491km, coral reefs, the world’s only granite islands, palm grove, Seychelles is preserved and is a Natural Heritage of UNESCO. 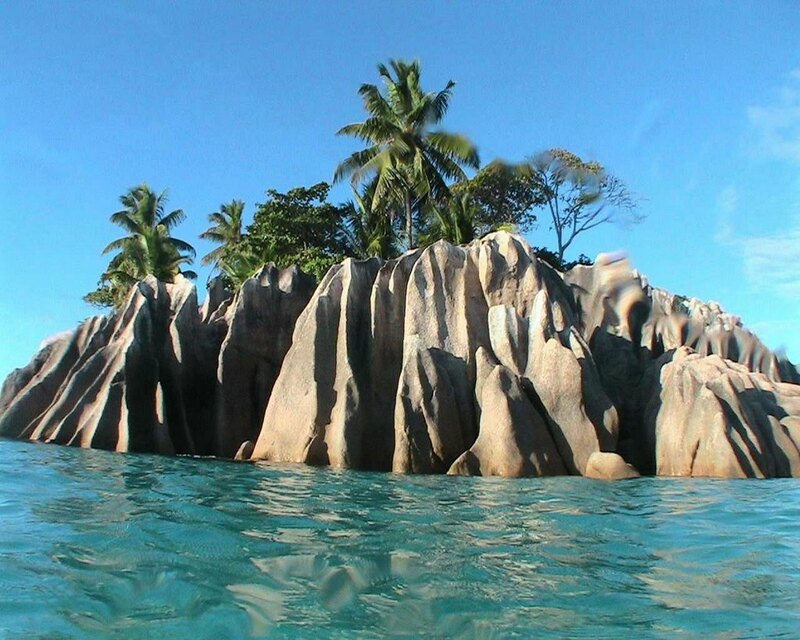 Seychelles has become a popular tourist destination in the world thanks to its tropical beaches with stunning sceneries and many original wildlife animals. The tourism activities in Seychelles are very diverse, including scuba diving, fishing, boating, or simply daydreaming on the lush, soft white sandy beaches with crystal clear blue water. If swimming could not interest you, then dipping yourself in a swimming pool or laying on a couch reading books in the peaceful quiet space could be a good choice. Langkawi, belonging to the state of Kedah, is the most famous archipelago in Malaysia with 99 islands which is adjacent to the Thai border. 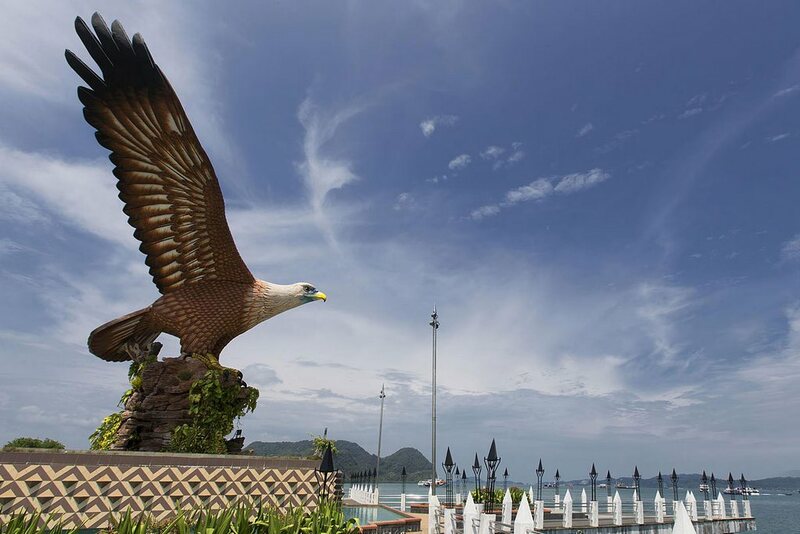 Langkawi attracts tourists with its many clean beaches on its property, glassy blue water under a vast clear blue sky. The weather here is quite pleasant which will contribute to bring you an enjoyable stay. There are many sport activities waiting for you here such as scuba diving or admiring the landscapes from a sailing boat. 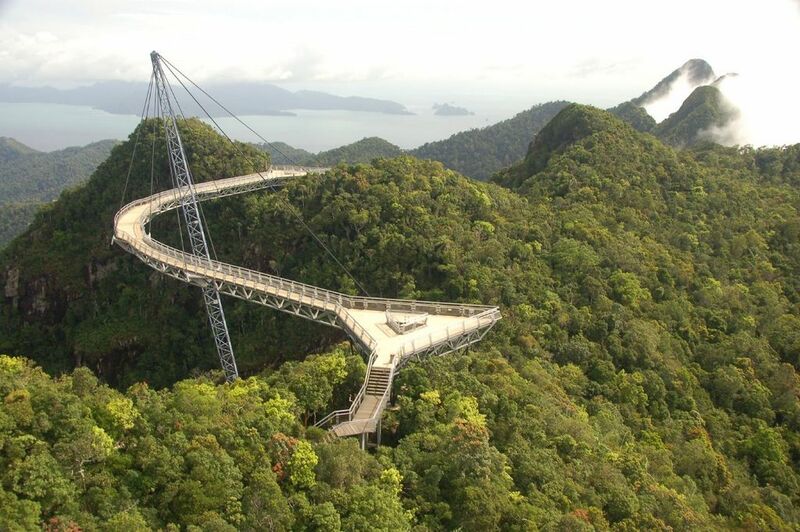 The name Langkawi is the combination of two parts ‘Lang’ and ‘Kawi’. The word ‘Lang’ comes from the Malaya word ‘Helang’ which means eagle. In the past days, the land was a home to countless eagles. Nowadays, there are still a lot of eagles on a number of islands and they are very much ar tourists interest. The other part ‘Kawi’ is the Sanskrit word for marble. 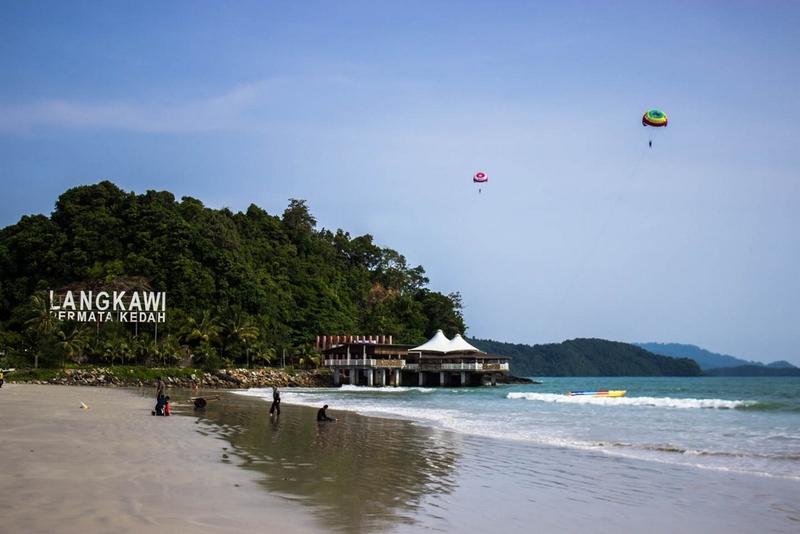 One of the most famous beach of Langkawi is Cenang with more than 10km length. There are various choices of water sports from surfing, scuba diving, to boating, etc. If you are not a sporty person, those white sandy beaches are waiting for you to lay down, and enjoy the beauty of glorious sunset. 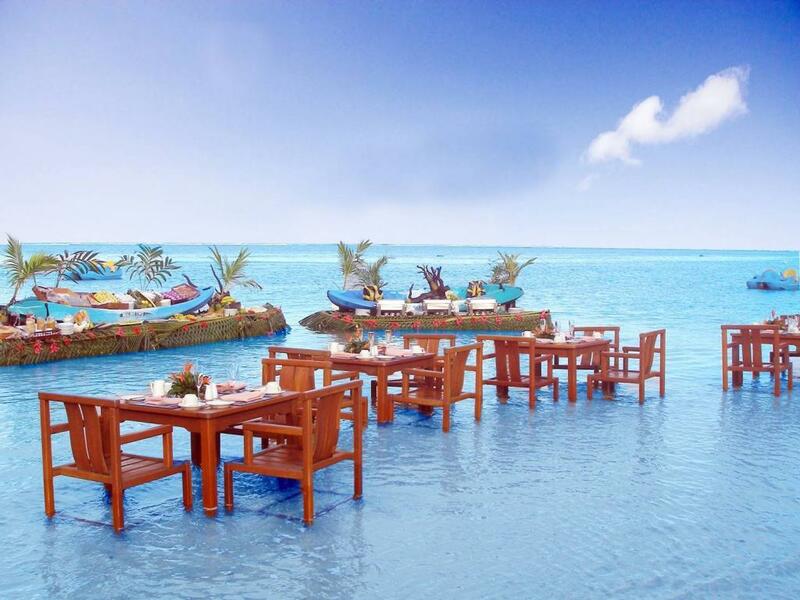 Bali is a beautiful, romantic island in the Indian Ocean, offshore of Indonesia. 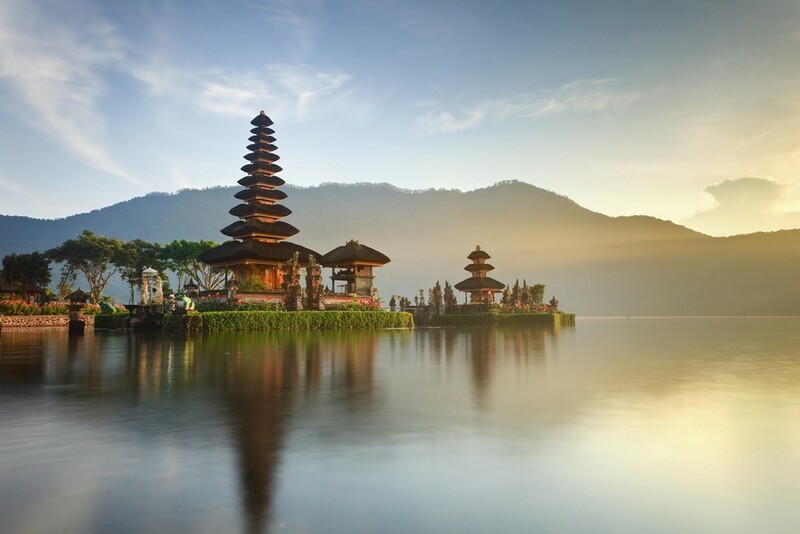 With its pleasant temperature zone climate and unique culture, Bali has long been a favorite destination of tourists all over the world. 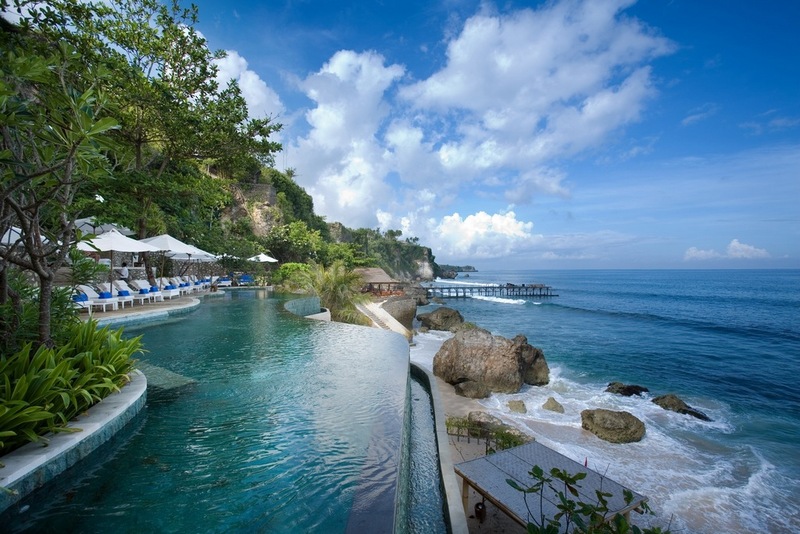 The attraction of Bali is white sandy beaches, blue sea, especially vast terraced fields, and active volcanoes of over 3,000 metres in elevation. 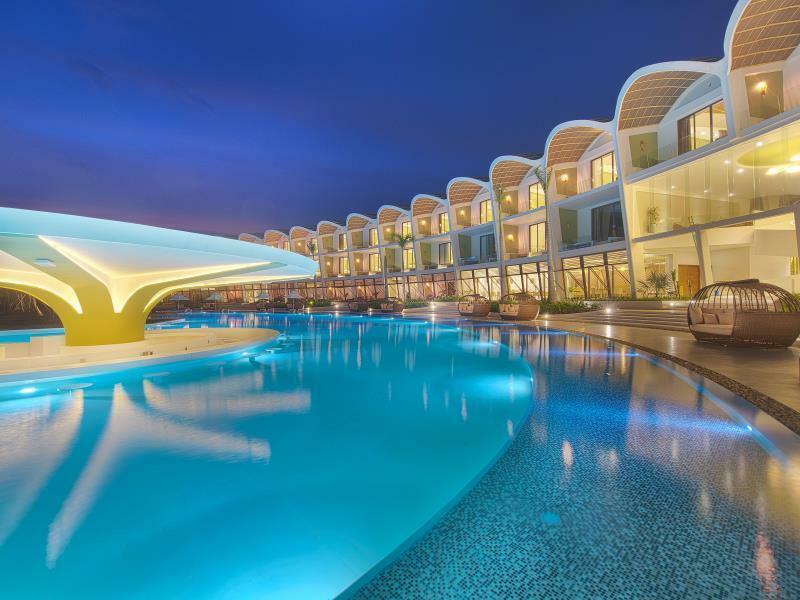 In addition, the clear blue water the bottom can be seen just by looking down is a great environment for the activities of surfing, swimming, snorkeling, alongside with the lively and exciting nightlife activities. 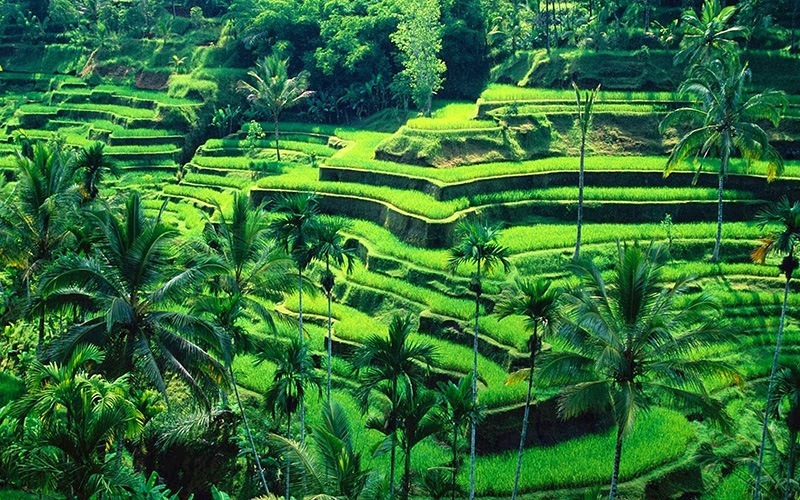 You can see more Bali travel guide at here. 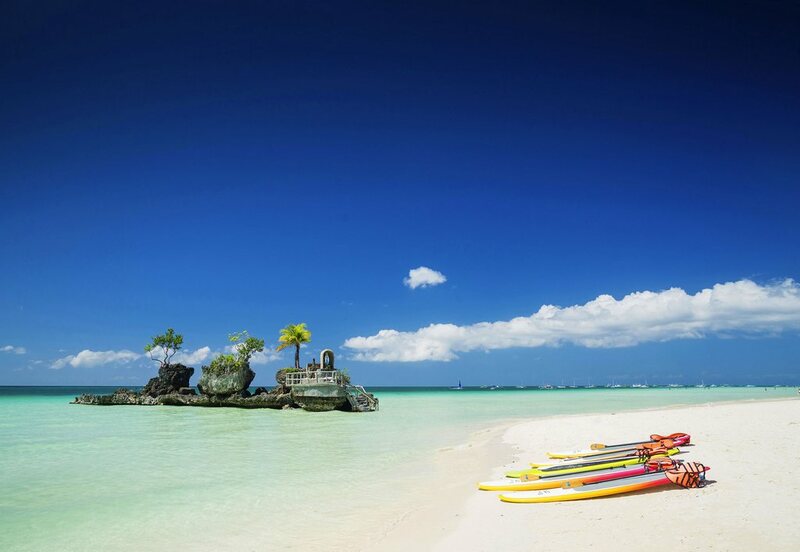 Philippines is wealthy for its many paradise beaches, where you can relax yourself to enjoy the peaceful atmosphere, sip coconut juice, and excitedly participate in the games on the beach that Boracay – is a typical example. 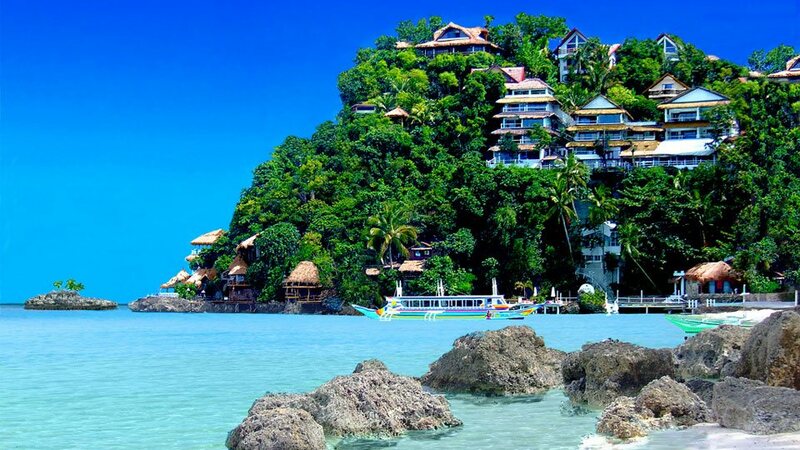 Boracay is a rather small island with only about 7 km length with 2 km width, yet it is in the top 10 most beautiful beaches in Asia, and top 25 in the world. 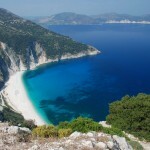 Therefore, the first thing you need to experience here is swimming in the sea. The soft white sand, glassy blue water will inspire your desire to immediately jump into the water and immerse yourself in this piece of paradise. The true paradise scenery here really makes tourists who came by to visit want to be back again and again. 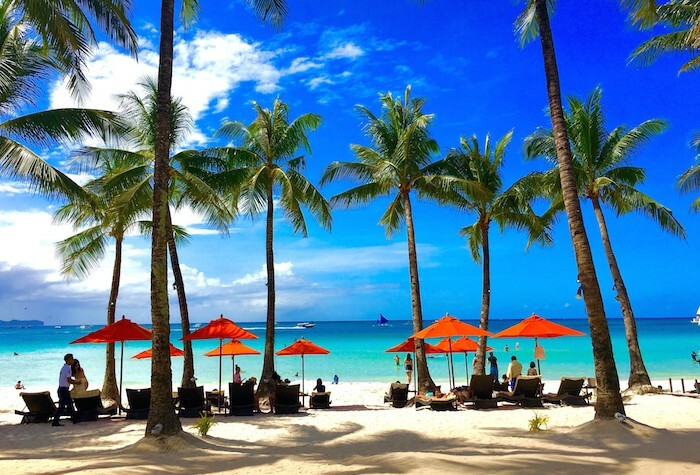 More amazingly, everything is available in Boracay, from restaurants, clubs, high-end resorts with good facilities and privacy, shopping centers, games on the beach, etc. to bars which make it so easy and convenient for tourists’ entertainment and needs. 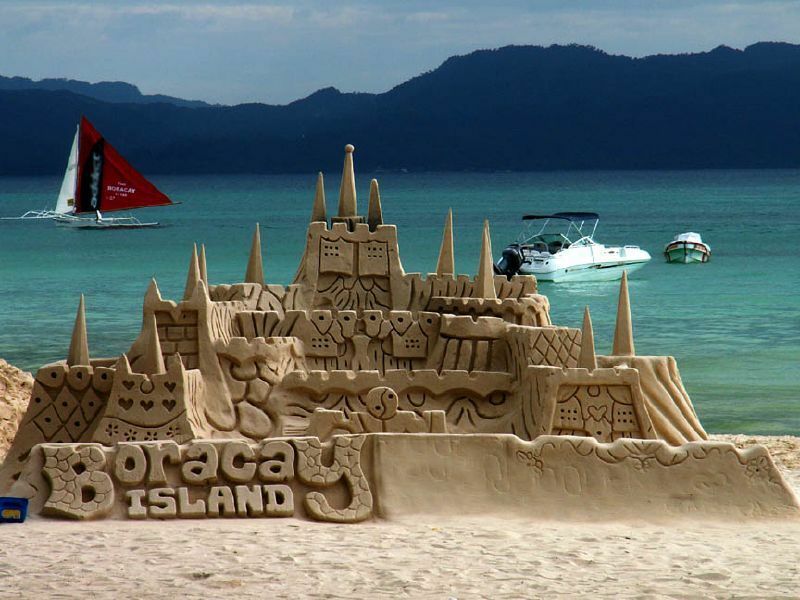 You can see more Boracay travel guide at here. 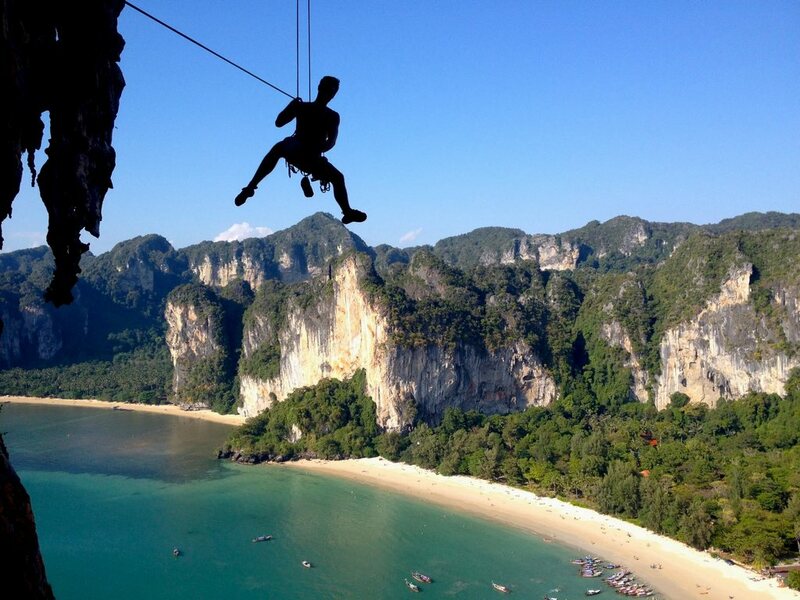 Railay is a small peninsula between the city of Krabi and Ao Nang in Thailand. The special and very impressive thing is that high limestone cliffs cutting off mainland access in a very natural and unique way, making the only way to get in is via boats. 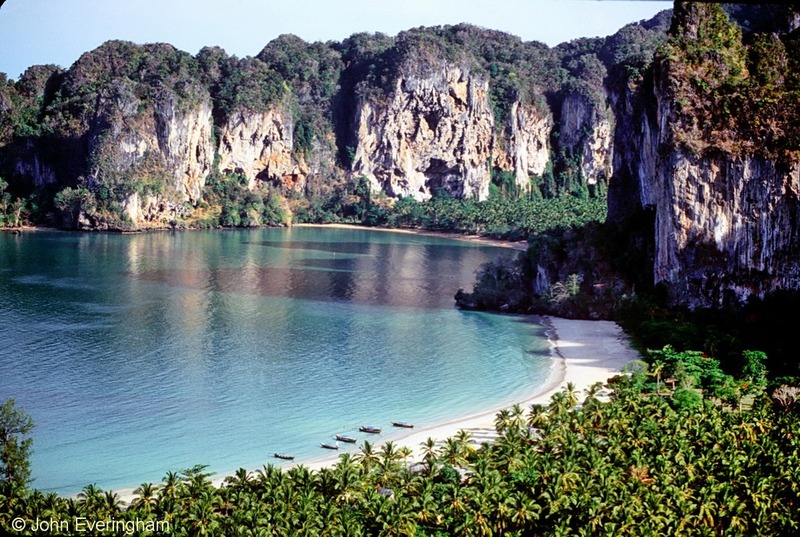 Some of the beaches in Railay are in the top of best beaches in the world. Nearly all beaches in Railay are pretty nice with soft sand, vast and clear blue water. 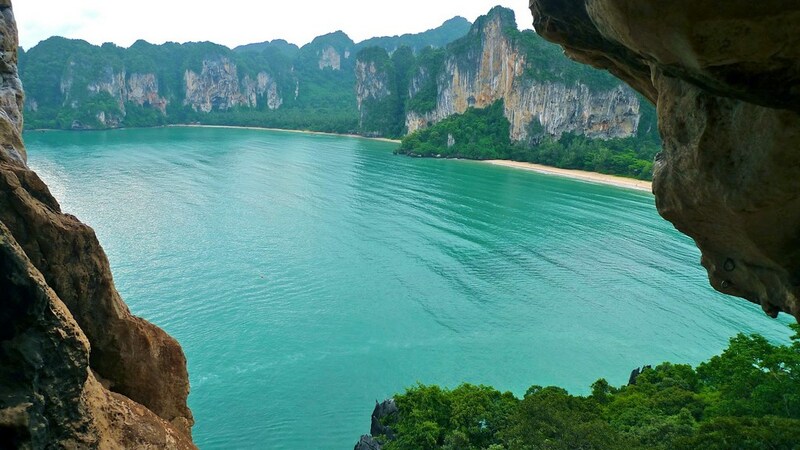 In particular, Railay is famous for its rocky mountain climbing, kayak tours, and snorkeling. 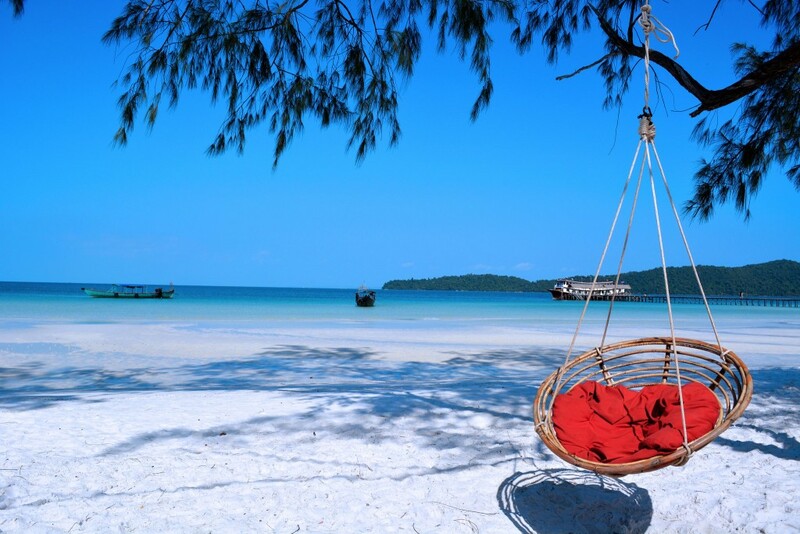 Koh Rong Island in the Gulf of Thailand, 20 km away from Sihanoukville coastal city, is the most famous island in Cambodia with white sand, warm and crystal clear sea water. The island is featured with small wooden houses and bungalows along the beach or on the tree, surrounded by tropical forests, and stunning beaches. 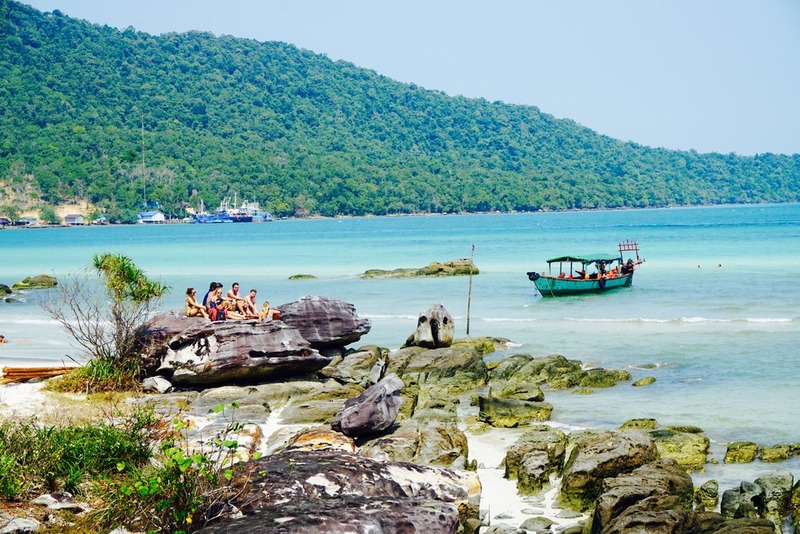 Koh Rong is known as an interesting and attractive tourist destination thanks to its tranquil, poetic beauty and fresh air which made it a suitable place to go enjoy after busy daily life. 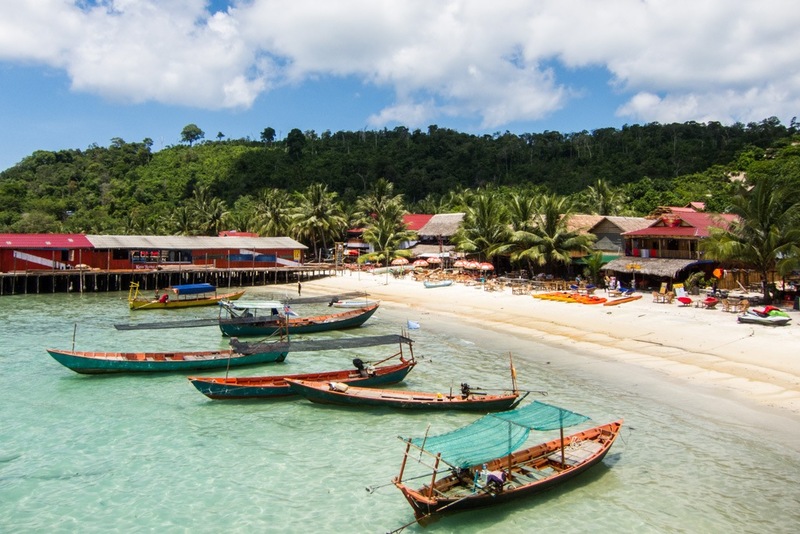 Especially, Koh Rong island was voted as 1 in 45 most worthy destination to visit in the world in 2012 by The New York Times and named “Hawaii of Asia”. 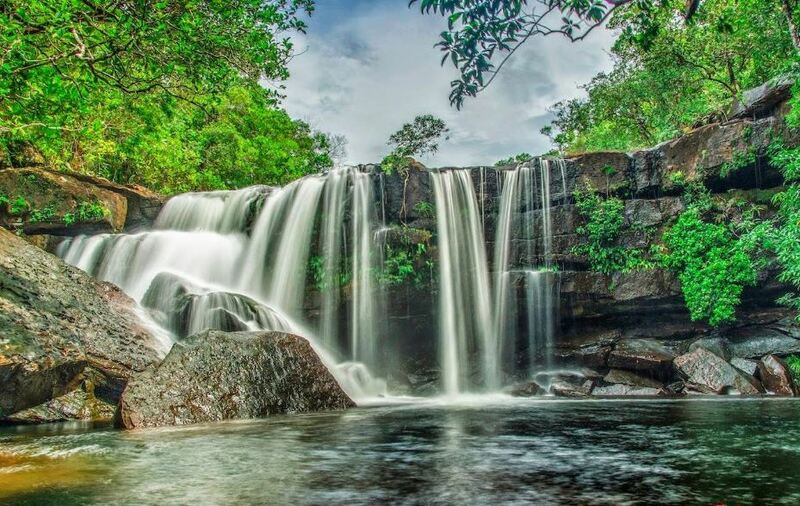 Being the largest island in Vietnam, Phu Quoc attracts tourists thanks to its white sandy beaches, crystal clear turquoise water and lush green forests. 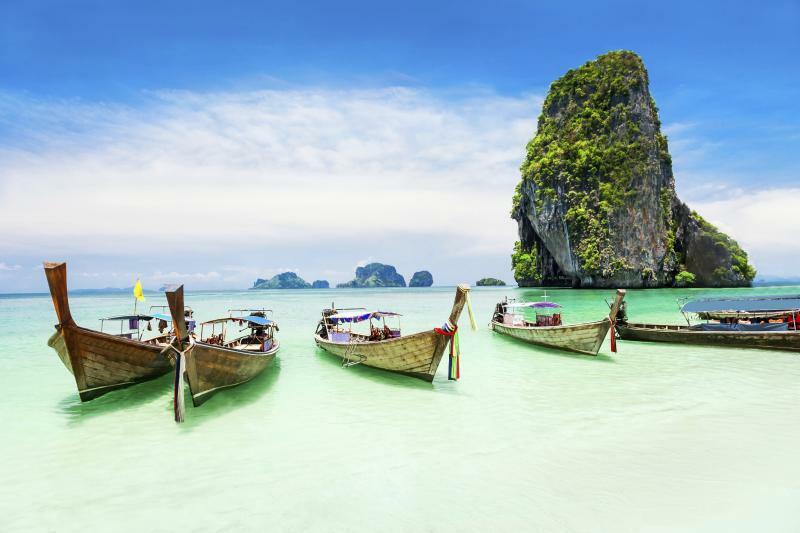 Tourists coming will be delighted to go snorkeling, or scuba diving to watch beautiful corals, enjoy fresh delicious seafood, or simpler, hire a motorbike to discover the local fishing villages. 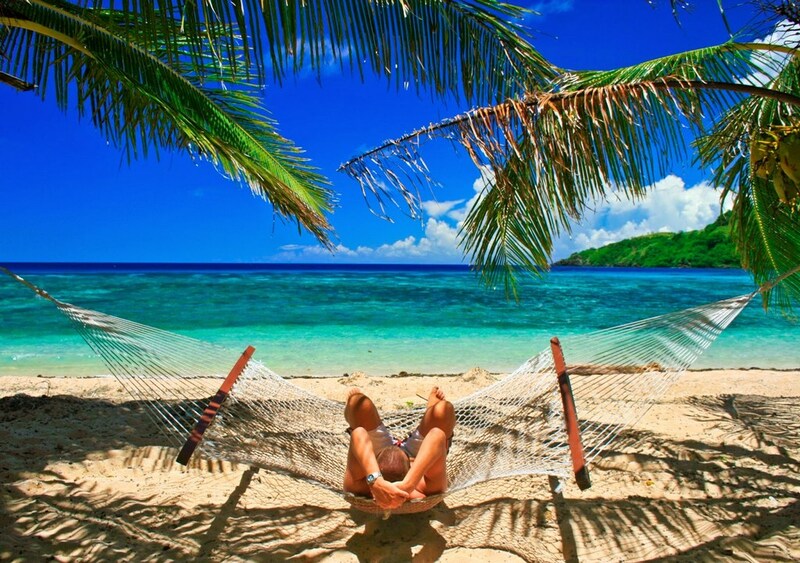 Visiting Phu Quoc, you can visit these famous beaches of Sao, Ganh Dau, Bai Dai, Bai Thom, etc. 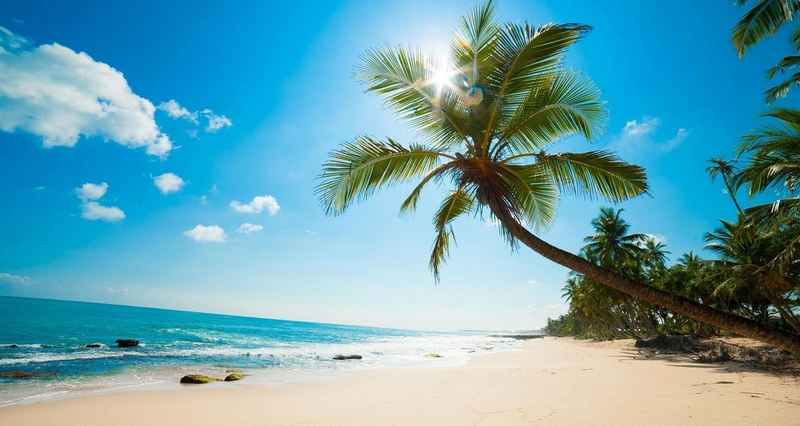 Especially, Sao Beach has been selected as one of the top 10 island beaches to unplug and unwind by CN Traveler readers thanks to its “deserted, powder-white shore and lush tropical foliage”. 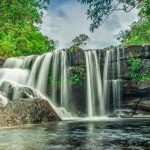 You can see more Phu Quoc travel guide at here.